Optional Vinyl Storage Bag - See picture for details. JUnkin JSA 300A - Same as JSA 300 with the addition of wood rack through back of trunk and a strap sdjusted foot rack. Junkin JSA 300B - Stretcher breaks into 2 halves. Designed for traveling to a remote area as a back pack. Easily reassembled at the scene of the rescue. Three positive clamps secure the two halves together. Four 60 in web straps are standard. Stores in 44 in x 12 in x 24 in space. Junkin JSA 300W - One piece stretcher without leg dividers. This permits a standard 16" x 72" full length backboard to be placed inside. are Dow Etha Foam� and covered in orange colored nylon. The JSA-300-X Stretcher Bridle Sling provides horizontal or vertical lifting capacity of up to 2,000 lbs. Made of 1" nylon webbing resistant to moisture and fungus rot with forged snap hooks and 3" ID forged steel suspension ring. The new 19" width Confined Space Splint Rescue Stretcher has been designed for rescues where space is confined. With steel, all-welded rigid construction, which does not rely on the injured person to attain form or rigidity. Light in weight and ample in size. The basket is 18 gauge, 1" hexagon mesh netting. Nylon web straps for securing at chest, abdomen, thigh and calf. Supplemental accessories to facilitate special handling needs are available. Made of 1" sturdy anodized aluminum tubing frame with flush folding hinges. Four inch wheels and posts fold easily out of the way for compact storage. Cover is fabricated from tough 18 oz. green vinyl coated nylon. Cover is fungus and rot resistant and easily wiped clean. 2� wide patient restraint straps with automotive seatbelt type buckles are standard equipment. Note - JSA 604 is same as Model 602 but has two posts, two wheels and and adjustable back rest with five positions. Note - JSA 604 S is same as Model 602, but has adjustable back rest with five positions, and four swivel wheels. Note - All 600 series can ship UPS. The 600 series has a bag available. This is sold separately and is not included in the stretcher cost. This is item 602-B on the item drop down list. 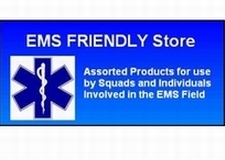 Consists of the Junkin �Easy-Fold� Stretcher with aluminum poles; First Aid Blanket JSA-502; Vinyl Sheet JSA-503; all housed in 20 gauge steel stretcher case JSA-600. May be wall mounted or has handle for easy hand carrying. Component parts of both kits may be ordered separately by numbers indicated. May be ordered as JSA-655-NA4 �Easy-Fold� Stretcher Kit containing two restrainer straps (JSA-504). Replacement cover (JSA-601-B) available. Poles measure 1-1/4� with shaped hardwood handles. Construction is sturdy but light weight. Cover is durable 18 oz. vinyl coated nylon. Patient Restrainer Straps (JSA-504) and replacement cover (JSA-501-B) are available. Click on the link below to see the various styles with features and dimensions. Single Person Mortuary Cot and Oversize Single person Cot. Smooth, noiseless service with self-lubricating nylon bearings, the Casket Placer operates independently of the Lowering Device. It is easy to assemble and dismantle. Locking placer arms and check bars at either end hold the casket motionless even on hilly terrain. For continuous dependability, rely on Junkin to guarantee longer-lasting service. The Junkin Church Truck, constructed of anodized aluminum tubing is sturdy for moving and displaying any size casket. Convenient and easy to maneuver, the accordion x-design allows for four positions � folded for easy transport to fully extended for supporting a casket. DIMENSIONS: 48" L x 19-1/2" W x 21" H.